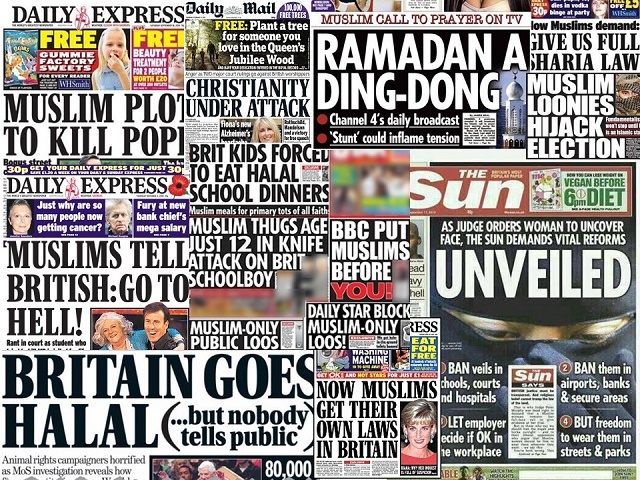 In the wake of the publication of a landmark report documenting a rise in anti-Muslim racism in the UK, one of its authors, Arzu Merali, argues for a deeper understanding of the systemic roots of Islamophobia. When the Islamic Human Rights Commission (IHRC) started out, we were focused mainly on issues and causes outside of the UK. Myself and a number of colleagues had worked on other campaigns, such as the War Crimes Watch project, before founding the organisation. Others were advocates for UK-based discrimination cases, another had specialisation in Bosnia, another in North Africa, another in South East Asia. Our first year saw us organise demonstrations protesting detentions in India, commemorate the second anniversary of the Srebrenica massacre, demand the release of activists from detention by the Israeli and Nigerian regimes. And, of course, everything and much more for Palestine. It was a busy time, with overlapping campaigns against bans on the Hijab (Islamic veil) in France and Turkey; fighting sexual harassment of women and activists in Nigeria, Algeria and Egypt; collecting evidence of war crimes in Bosnia; supporting a Bosnian family whose granddaughter had been illegally adopted in the UK and so on. Pretty soon, however, the phone calls and emails from Muslims here in the UK started to grow in number. It was a wake-up call. Those of us, such as myself, who had been born and brought up in the UK, had experienced the rise and – we thought – abatement of street and state racism, found ourselves challenged. The racism had apparently not gone away, we had just gotten mobile and tried to outrun it. Since the launch of our first report on anti-Muslim hatred in the UK in 2000, there has been a steady stream of research on different aspects of this form of racism from our organisation. Our latest report, ‘Environment of Hate: The New Normal for Muslims in the UK’ is the fifth publication in our ‘Hate Crime Project’ (‘The Muslim Experiences of Hatred and Hostility project’)., which has so far involved surveys in the UK, France, USA (California) and Canada. This latest report is the first time we have re-run a survey, four years on. As with most of our research on the subject, we use surveys rather than reporting to present the levels of experience across the sample. The more robust the sample, the more reliable the results, and the more indicative they are of the nationwide experience. This year, we collected just shy of 1,800 responses to the quantitative part of the survey, with a fairly good geographical spread based on the population of Muslims in the UK. This type of methodology is crucial to the long-term fight against Islamophobia. I have listened to many new(ish) organisations complain that Muslims do not self-report hate crimes and discrimination, even blaming them for not doing so. This is not only unfair, given the huge pressures Muslims already face in this country, it lets organisations themselves off the hook. The time when anti-racism activists gathered data by waiting for people to self-report has long gone. Muslim civil society needs to catch up. I have written on the problems of using reporting as a way of presenting data to authorities elsewhere on these pages but, to summarise, don’t do it. People don’t report due to: fear of repercussions; lack of trust in the police; and/or the feeling that nothing will happen anyway. In addition the methodology lacks academic rigour. Violent attacks went up from nearly 14% to nearly 18%. Discrimination at work and school nearly doubled. More than 90% of people surveyed said they witnessed Islamophobia in the media. In 2010, fewer than 60% of respondents said they encountered politicians using Islamophobic rhetoric. That figure had risen to almost 85% by 2014. 58% of those surveyed felt they had experienced being treated with suspicion or being wrongly accused of something. 66% of those surveyed have experienced verbal abuse at some point – a definite increase from the 39.8% in 2010. In 2010, 50% of respondents had seen or heard Islamophobia against another person. By 2014, this figure rose to 80%. It is perhaps the last statistic in the list above, and those relating to perceptions of governmental attitudes and policies, that are key to this study’s findings. While the media has always been identified as a problem area when it comes to rising Islamophobia, not just in IHRC studies but those conducted by so many others, the role of governmental and political discourse, as well well as policy and legal regimes has been less highlighted. Both the responses of Muslims surveyed (as the last statistic testifies) and a review of the literature, policy and political discourse has revealed that the nature and level of governmental and political intervention has been highly significant to the deterioration of the situation for Muslims in the UK. It has always been our contention that the media, government, policy and law create an environment wherein ordinary people are affected: Muslims are routinely portrayed as less-than-human, at best haters of all that is good and, in this case, ‘British’, and at worst innately or actively violent. This perception is reproduced by lazy media practice (institutional racism means that everyday racist stereotyping operates in the background of organisations in both their make-up and output), political cultures that marginalise ‘minorities’ here and majorities ‘over there’, legal regimes like the anti-terror laws, and policies that create fiascos like the Trojan Hoax “scandal” that wasn’t. And then, there are those who would deliberately play the ‘Muslim’ card and trump up hatred within all those structures of power. It is this that creates the environment of hate within which the attacks, discrimination and exclusion take place. Our study ends with various recommendations to the state and its institutions, as well as to the wider community. I would like to conclude this piece with a synopsis of what it is we’re asking of Muslim civil society: namely to understand the structural nature of anti-Muslim racism and to shape its anti-racist strategies accordingly. Without that context, we cannot realistically begin to tackle Islamophobia. You cannot legislate away hate crimes, you can, at best, only improve how you catch and penalise those who commit them. Ultimately, the culture shift that is required to end Islamophobia as a social phenomenon must come from those who foster and abet the racist culture in the first place. If we can’t understand the anti-Muslim state, then we cannot change the Islamophobic street. Are headlines “Environment of Hate: The New Normal for Muslims in the UK” and “Report exposes HATRED of Muslims – watch the concise & important video” not just making things worse? I would like to know what ‘anti-Muslim racism’ is. How is Islam a race? Islam is a foreign religion like Judiasm, they both came out of the desert people. No one voted for mass Muslim migration into the UK, it is unwanted. You have been used as a tool of globalist to initiate the destruction of western civilisation. ^———— Article’s point proven by the comments.